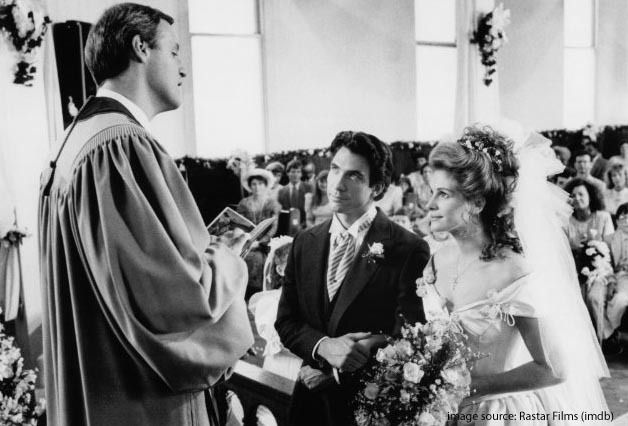 In one of the best scenes in one of the greatest movies about Southern women ever to be made, Steel Magnolias, Shelby shares the exciting details about her wedding with her mother and friends at the beauty parlor. And honestly, what could be daintier and prettier than pink on pink? We were inspired and so here’s our take on a ‘Blush & Bashful’ wedding. We think Shelby would be proud. The great thing about this L. Erickson double wrap pink shantang sash is that is can be added to almost any bridal gown to add a personal flair. Or better yet – add the sash for just the reception. The sash matches these Badgley Mischka Lacie shoes perfectly! The pink smocked dresses are classic and will have the flowers girls spinning and their mothers grinning as they will actually be able to wear these dresses again. The pink pearls are so girly and very affordable. They would look very ‘Blush & Bashful’ when paired with these Donna Morgan bridesmaids dresses. We love this blooming ringbearer pillow. And the scalloped cake is simple but still fun. 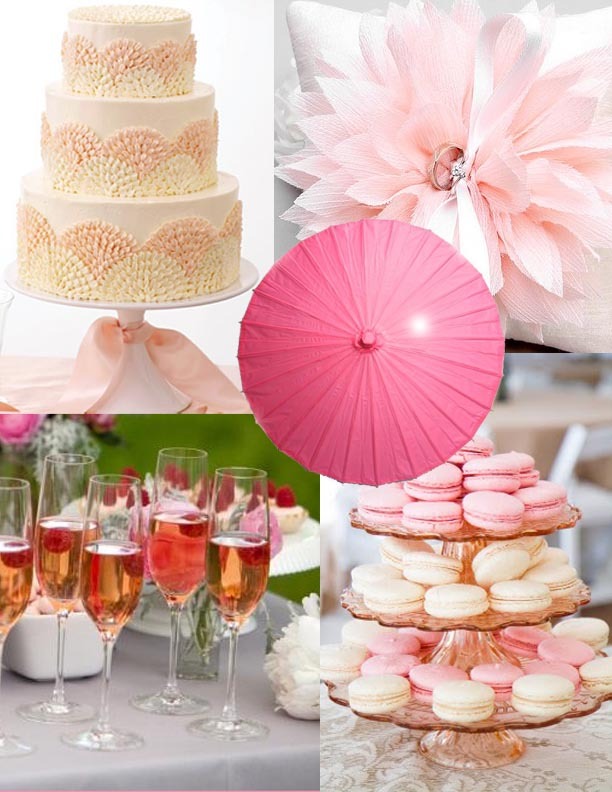 Pink champagne and pink macaroons are a must. If its sunny we would keep these pink parasols on hand for guests. Perfect for decor would be these pink eyelet lanterns and these rose colored fleur de lys glasses. 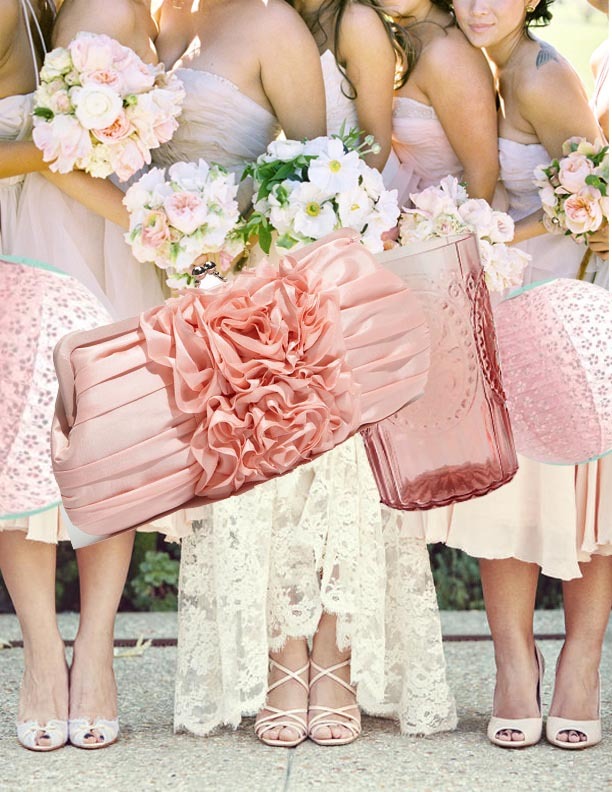 The pink ruffle clutch would be a fabulous accessory for the bride or her maids. We love the soft pink and flower texture combination of the bridesmaids dresses (above) and think almost nothing could be sweeter than this brides’ lace dress with her blush and bashful bridesmaids. I have absolutely died and gone to pink heaven 🙂 Great post! Thanks so much! It was a lot of fun to put this together. I watched this movie just a few weeks ago (one of my all-time favs) and just love that scene you quoted…I’ll have to share this post with my sister since she’s in the market for some things to suit her upcoming wedding (although pink or shall I say “blush and bashful” might not suit her December 17th date! )…I’m sure there will be future posts that are perfect for her color themes! 🙂 Great site, Mari!